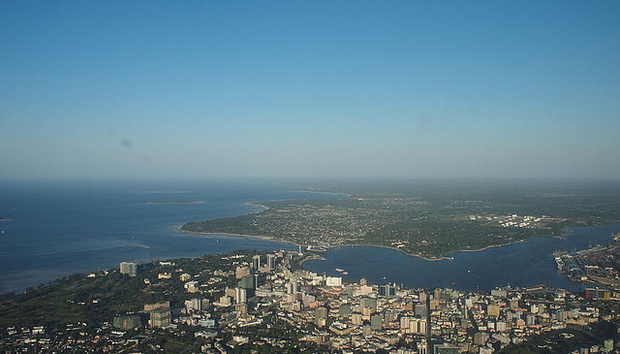 Dar es Salaam was built in a natural harbour on the Indian Ocean, 1,934 miles down the coast from Mombasa. Like the harbour of its Kenyan neighbour, transport links converge in this crucial trade port. However since the initial privatisation-driven efficiency boom in the 1990s, things have not been operating as smoothly as they should be and negative comparisons have been be made with the port at Mombasa. Vincent Nyerere, an import company owner, was very critical, stressing the need for improvement. He described how he had brought four containers over from China in November and half processed through the port of Mombasa whilst the other half went through Dar es Salaam. It took Kenya nine days to clear his containers. The two that went through the Tanzanian hub were still stuck at Dar es Salaam in January. “My target was to sell goods the week between Christmas and New Year, but now if I get those goods what do I do with them?” he told Sabahi at the start of the year. “The [Dar es Salaam] port has effectively killed my business.” A new World Bank report, released last week, looks at the further reaching impact of this inefficiency and how revitalising the Port of Dar es Salaam could literally transform the country. There appears to be no question that the inefficiency of the port is impacting local business. 96% of mid-size companies surveyed by KPMG LLP and the World Bank stated that the performance of the port was ‘very’ or ‘extremely’ important, which even out of a sample of just 100 is a pretty strong result. Whilst when directly asked: “To what extent does the current state of the port harm your business?” 67% responded “extremely.” Despite this, there does appear to be a lot of faith on the ground, 46% of those surveyed do believe the situation will improve over the next 12 months and 39% believe it has already improved since early last year. The Tanzanian economy has experienced strong, steady economic growth which has been driven by a small number of rapidly expanding sectors: communications, financial services, construction, manufacturing and retail. The report stresses however that food prices are still extremely high and calculates that a poor Tanzanian household living on maize, rice and wheat would pay 110% more (per kilogram) than its counterpart in Brazil. The report states that high local prices across the East African region are largely due to physical obstacles and to tariff and non-tariff barriers to trade. These barriers include relatively high transport costs “resulting from infrastructure deficits and administrative obstacles”. It shows that it is more than twice as expensive to import food from Vietnam to Tanzania, than from Vietnam to Germany. And it costs 60% more to trade between Tanzania and China, than between Brazil and China where the distance is two-fold. Are you based in Tanzania? Drop Kathryn a note if you would like to share your local experience of IT and business in the region.